Gold never existed? - American Precious Metals, Inc.
“When central banks own physical gold reserves, that means they own coins and/or bars. Mostly they own bars, which have hallmarks of the manufacturer, serial numbers and the weights and purity of each piece punched right into the surface. The central bank should have comprehensive ledgers with these details to make it possible to verify such gold really exists. Therefore, whenever any gold reserves are transferred, it should be possible to specifically identify exactly which items are being relocated. On Jan. 16, 2013, the Bundesbank, Germany’s central bank, announced that it would be repatriating all 12 million ounces of its gold reserves from France and almost 10 million ounces in storage at the Federal Reserve Bank of New York. For reasons that did not make sense at the time, it was announced that the gold coming from the Fed would be delivered over seven years. The reason this lengthy repatriation period did not make sense was because costs are incurred to store these reserves. For the Federal Reserve, the lowest cost action would have been to promptly return all of the demanded gold reserves. In the first year, only a paltry quantity was shipped back to Germany. Even so, it turned out that what was repatriated were not the kind of bars that Germany would have provided to the Fed. This sparked lots of unanswered questions. Late last month, some answers as to what is really going on may finally be coming out. On Dec. 21, the major German news agency DPA-AFX issued a news item that was almost certainly written by staff at the Bundesbank. When such announcements are made, the actual text used is carefully reviewed to say exactly what the institution means. Within 24 hours, this story was printed in at least 20 German newspapers and magazines substantially verbatim. The term “gold claims” means something entirely different than “gold reserves.” Gold claims refer to a contractual obligation rather than to physical items. With this statement, it seems evident that much if not all of the German gold allegedly stored in the New York Federal Reserve Bank resulted from Germany exchanging U.S. dollars for gold. The use of the “gold claims” terminology, however, would seem to indicate that there may never have been stored at the Fed the actual physical gold to fulfill the liability! In other words, instead of physical gold in the New York Fed vaults, all the Bundesbank possessed might have been just a bookkeeping entry! If this is accurate, that would definitely explain why the Fed would negotiate a seven year period to “return” the physical gold. It would take years to try to sneak in this quantity of gold from other sources in order to ship it back to the Bundesbank in Frankfurt. If the gold never originally existed, that would also explain why the initial bars being shipped back to Germany had obviously never been actual German central bank inventory. It would also explain why the Bundesbank has been unwilling to publish a gold bar list, which is something that private vaults such as Bullion Vault update and publish daily. The Bundesbank has instead only provided an “inventory list” which does not provide any information against which the existence of the physical gold could be checked. If it is a fact that millions to tens of millions of ounces of reported German central bank gold reserves do not actually exist in physical form, the same may be true for other central bank gold reserves theoretically stored at the Federal Reserve Bank of New York. If it were true that all of Germany’s alleged gold reserves at the New York Fed really were there, it would be easy to prove. Since the Fed and the Bundesbank are collaborating to avoid releasing information confirming the existence of the physical gold and what information has been reported indicates that physical gold never existed could mean that all reports of worldwide physical gold inventories and annual supply and demand data are substantially in error. What difference would it make if this gold at the New York Fed never actually existed? 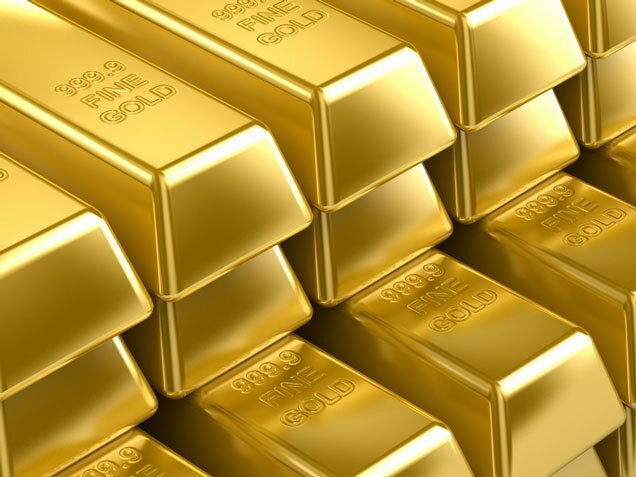 At the minimum it would indicate that there is much less physical gold extant than central banks, the world’s commodity exchanges and storage vaults are claiming. As the news of such a possible shortage became public knowledge, it would almost certainly spark higher demand for the physical metal with the result of a major price jump.